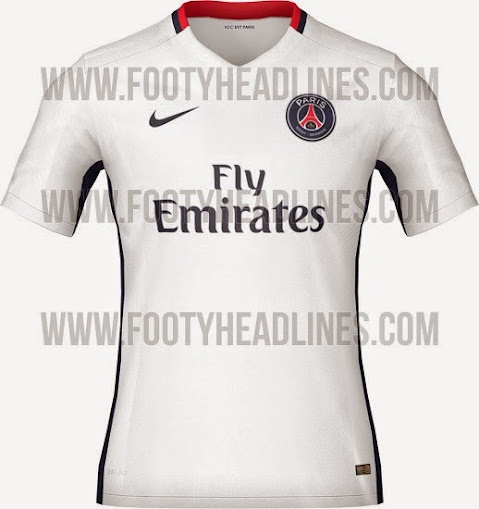 Nike will be producing three new kits for French champions Paris Saint Germain for the upcoming 2015-16 season, Fly Emirates will be the shirt sponsor again and the leaked designs of all three kits has been leaked which can be seen below. The home and Away kits for 2015-16 season will be officially released in June 2015 while the third alternative kit will be unveiled before the start of Champions League season in September. The home kit feature a big central stripe in red colour and white outline while the Fly Emirates logo is placed on the centre of the home shirt. Rest of the shirt features navy blue colour. The kit was released last week by nike. Away kit features a simple white colour design with red and navy blue application on back of the collar as well as on the sides of the shirt beneath sleeves. Nike are going to produce a very unique third (alternative) kit for PSG which will be used in the some of the Champions League away matches in 2015-16 season. 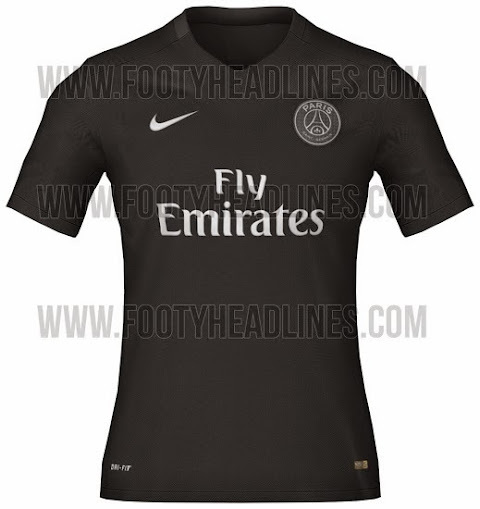 Third kit will feature an all black design while the logo PSG will come in monochrome design and Nike and Fly Emirates logos will feature grey colours.